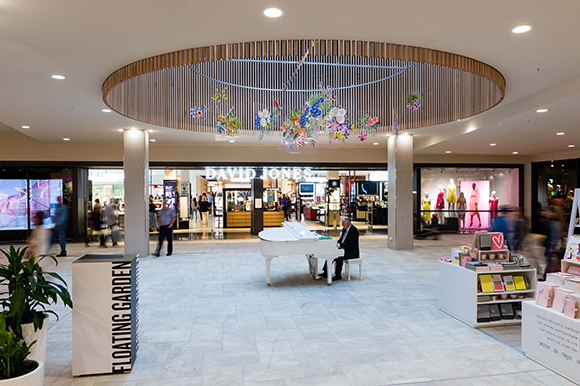 A twelve month long placemaking and activations program culminates with the grand opening of GPT’s Wollongong Central’s Gateway building and the launch of permanent and semi-permanent public art installations. 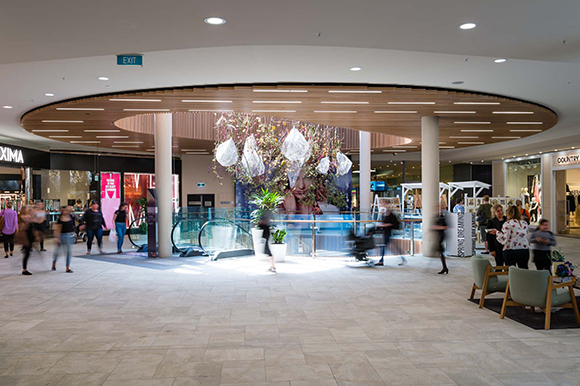 To celebrate the precinct’s new look, two large-scale sculptures adorn the atriums on Level 1 of the Gateway, contributing to the centre’s theme of ‘Discover the Unexpected’. These eye-catching installations are the works of two accomplished Australian artists – Victoria Garcia and Tracey Deep. 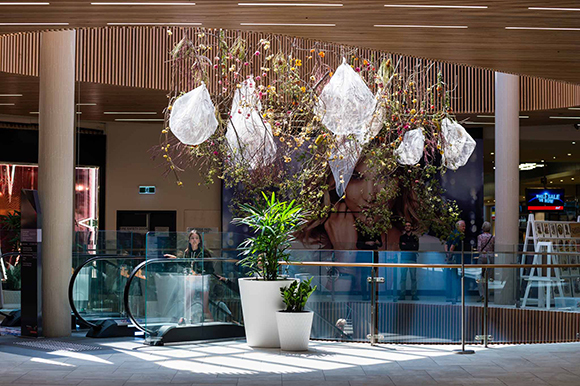 Victoria Garcia’s creation for Wollongong Central, named ‘Floating Garden’, reflects the ephemeral experience of being in nature. 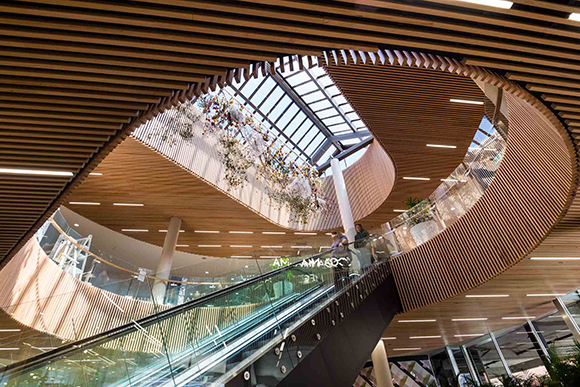 The suspended panels of the artwork float, shift and gently rotate, transforming the artwork with each passing moment, and providing a unique perspective from any angle. 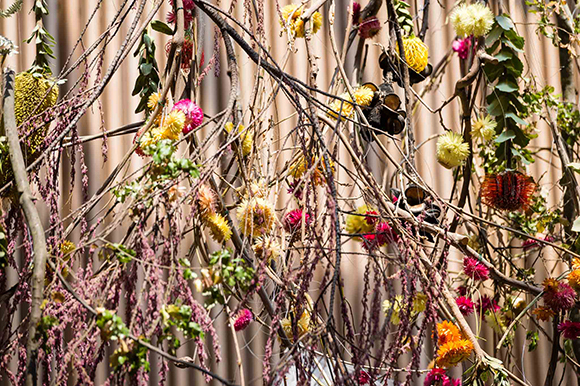 The sculpture draws inspiration from the traditions of still life painting, and the preservation of botanical specimens in natural history books. 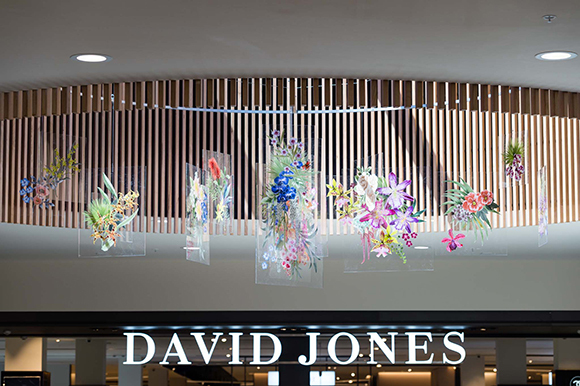 Using a combination of her own photographs and drawing from life, Victoria has hand-painted the wild Australian orchids and tropical plants, ensuring individual plants and flowers mimic nature, and interconnect to create a whole. 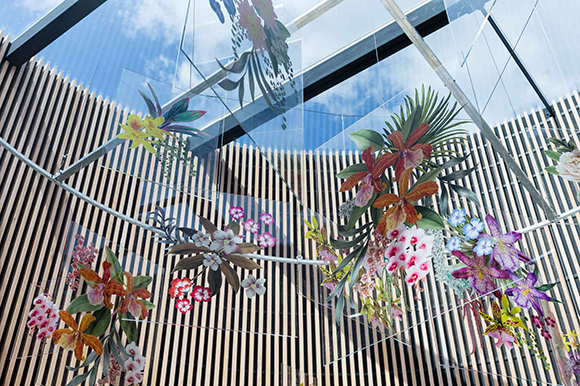 With ‘Spring Dreaming’ artist Tracey Deep has created a living sculpture for Wollongong Central that’s a celebration of rare and beautiful indigenous flora. Viewers are invited to revel in the natural world; to be engaged by whimsical shapes and patterns, vibrant and warm natural tones, graphic patterns and striking textures. Her garden of paradise is a captivating dimension filled with energy, mystique and wonder that allows us a moment of dreaming, and to reconnect to the power of nature. 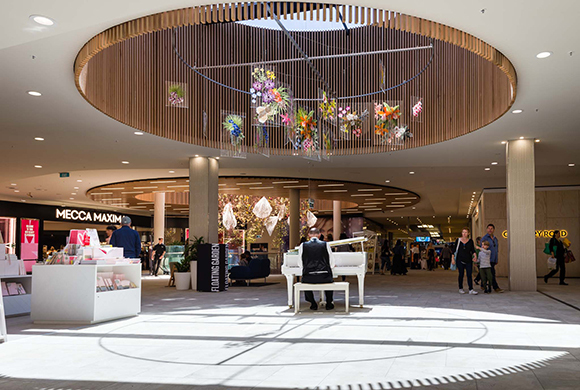 Curated and produced by Wiltshire + Dimas/aMBUSH Gallery and and presented by Wollongong Central, these magnificent installations are on display to the general public and suspended from the skylight/atrium on Level 1.